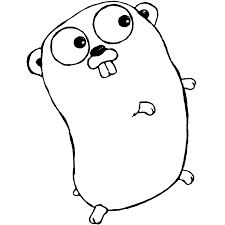 Go (also known as Golang) is an open source programming language created by Google in 2007, compiled as a statically typed language in the tradition of Algol and C, with limited structural typing, and CSP-style concurrent programming features. While the next version of Go is moving toward general availability, with a release candidate featuring improvements in compilation and HTTP, and the final Version 1.8 due for next month. Go 1.8 adds a new compiler front end as a foundation for future performance enhancements, and shorter garbage collection pauses by eliminating "stop the world" stack re-scanning. Additionally, HTTP server shutdown can be enabled via a Server.Shutdown method and directly using a Server.Close method. And as most of the changes are in the implementation of the toolchain, runtime, and libraries, almost all Go programs are expected to continue to compile and run as before. Also, the Golang specification now only requires that implementations support up to 16-bit exponents in floating-point constants, and the changes include conversion of a value from one type to another, with Go tags now ignored.